OK – this is it. The waiting is finally over. The Cheltenham Festival is here and ready to entertain. It begins with a bang, and a roar that can be heard on the other side of the world – so the rumours go. Punters will be looking to get off to a flier in the opener but past records suggest the Supreme Novices Hurdle is very much a race where the bookmakers hold the upper hand. The records show that there has been no winning favourite in this race since 2004. Gambles on horses such as Cousin Vinny, Dunguib and Cue Card all have gone down the toilet, and this year’s contender, My Tent Or Yours, in our eyes, looks set to follow suit. One thing all the aforementioned market leaders have in common is that they’re strengths very much lie in speed over stamina. This is not a race anymore where the classier types dominate. 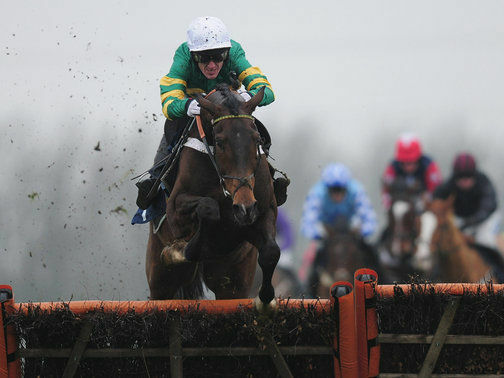 Just look back through horses beaten in this race and you’ll see what we’re banging on about. Subsequent Champion Hurdle winner, Binocular and Arkle sensation Sprinter Sacre both were outstayed in the stamina sapping Supreme. My Tent Or Yours, who looks likely to go off around the even money mark with Paddy Power, looks by far the best horse, for future references, in the race but he may find one or two too good as he battles his way up the hill. Being able to rule out the favourite from any betting angle is always a potentially lucrative proposition and our negative vibes towards the Henderson runner opens up plenty of possibilities. Second favourite Jezki at 9/2 with Bet365, again, looks in the same mould as My Tent Or Your as being speedy rather than strong, so we’re ignoring him too. Une Atout looks a far stronger Irish challenger but is very inexperienced whilst Dodging Bullets has been popular in the ante-post markets, mostly because he’s trained by Paul Nicholls. However, his form probably isn’t good enough to land this contest. River Maigue has strong each-way claims at 12/1 for owner Michael Buckley, who had the runner-up here in 2011 with Spirit Son. He would have been our outright selection had the form of his Kempton win been hardened as he looks the perfect time to improve under the watch of Henderson. We’re delving very deep for our number one choice though as Cheltenian looks hugely overpriced around the 33/1 mark with Bet365 – each way punters should be filling their boots with this one. Trainer Phillip Hobbs, who trained a big price winner in the 2010 Supreme when Menorah ran out a gutsy victor, has been keeping very quiet about this horse – but that in-itself could a tip from the shrewd trainer. A previous Festival winner, having landed the 2011 Champion Bumper, the seven-year-old returned from a near two-year absence to run a fantastic race at Doncaster last month, beaten just a short head by Minella Forfitness. Under normal circumstances regarding his fitness, he would have hacked up that day as jockey Richard Johnson was always eager not to give the horse a too hard of a blow. Johnson was too gentle with him in the final stages, but by not giving him a hard race has probably meant he is now spot-on for his chance in the Supreme. There is a feeling that this year’s novice hurdlers, bar My Tent Or Yours, are a below standard bunch, and Cheltenian brings a different angle of form to the table through his Champion Bumper win, where last year’s Supreme Novices winner Cinders And Ashes was well beaten in fifth.